This year is the 100th anniversary of the Armistice at the end of the First World War. 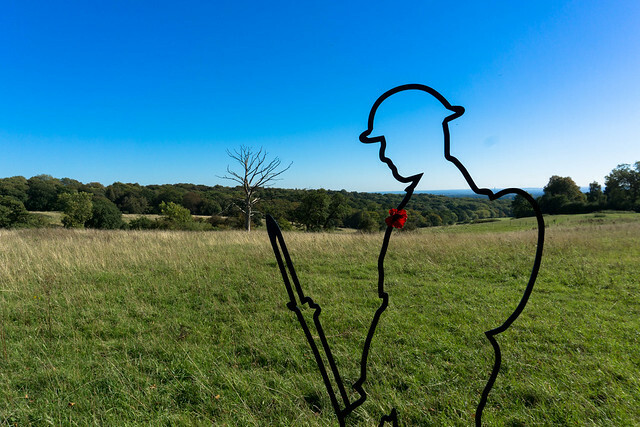 Havering Council is supporting a campaign called “There But Not There” that will see large six foot high silhouettes of a British soldier from the First World War placed at locations across the UK to remind people of the enormous sacrifice made by servicemen and women in that conflict. The "Tommy" silhouette will be placed at a number of locations in the borough until the end of the year. A plaque will be placed alongside the silhouette explaining the campaign. "Tommy" will also be used to highlight our Remembrance Sunday services, parades and a beacon lighting event on the 11 November. Please check library opening times before visiting Tommy at our libraries.